My girlfriend of almost three years is leaving me I believe. We've been fighting on and off for the past few weeks, and it seems like no matter how I act or what I do she just pushes me away. She just started a second job here lately, and ever since then I feel like we've slowly fallen apart. I tried to make sure that ,given the little free time that we have now, I make the best of it by spending time with her, but she always seems distant and almost as if she doesn't want to be there anyways. I, of course, tried to mention this two her and even told her just to go back to working the single job but she's telling me now that she did it so she could get away. I really don't know what else to do. As of tonight, I think we may officially be done, and I'm at a complete loss. She's telling me now that we need to be looking for our own places, as we currently live together, so I think that's a pretty definite close-out. My heads in a bad place and being that it's 3AM here I have no one to talk to, so I felt the need to come here. I've been in quite a few serious relationships, and I know 100% that she's the girl that I want to be with, but I can't get her to understand that no matter what I say. I hate reaching to other people for help, but honestly I'm so distraught right now that I have no idea what to do. Anyone have any advice? I've pleaded my case and it seems to be futile. Do I let her go and hope she comes back? I don't think I could stand to wake-up everyday waiting for that to happen. But, I can't simply pretend that I no longer want to be with her. This is seriously not what I need right now, I'm already stressing over losing my family and a lot of my friends, but I really think this would be the last shot to the heart for me. Once again, I apologize for posting this here, but I really just need to vent and talk to someone right now. 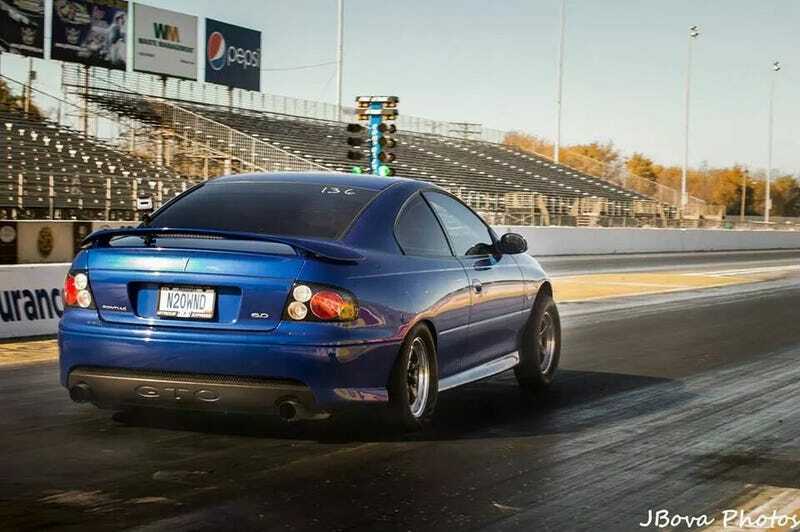 EDIT: Cover photo of a friend's GTO added for your trouble..